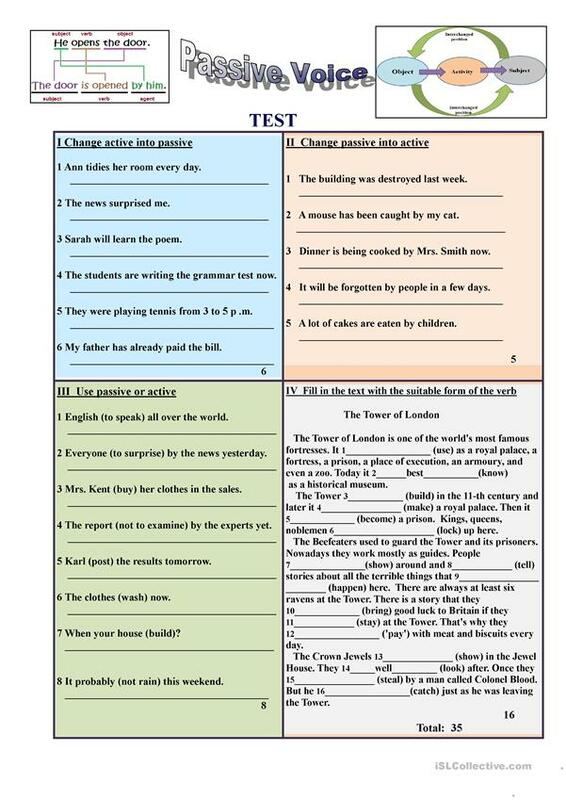 This is a test for revising Passive voice. Key is given. The present downloadable teaching material is a great resource for high school students and adults at Pre-intermediate (A2), Intermediate (B1) and Upper-intermediate (B2) level. 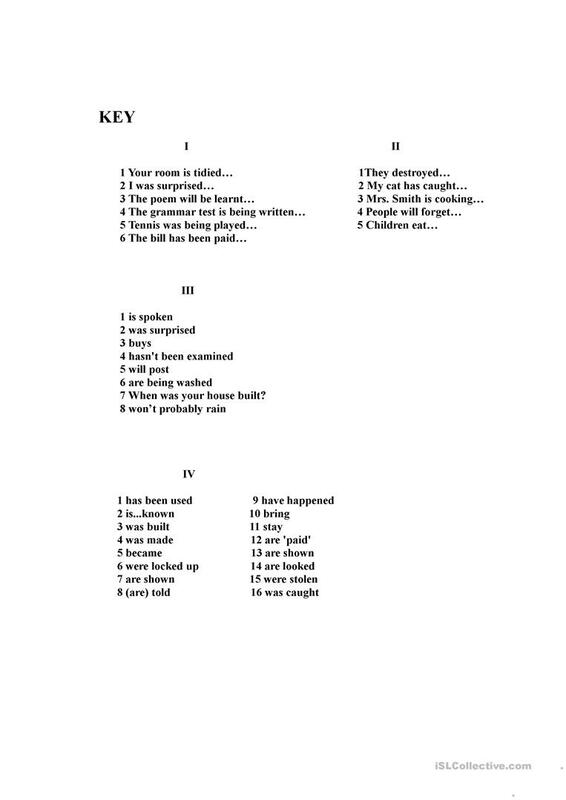 It is great for teaching Passive voice or active voice in English, and can be used for developing your groups' Spelling and Writing skills. The answers are provided, too.